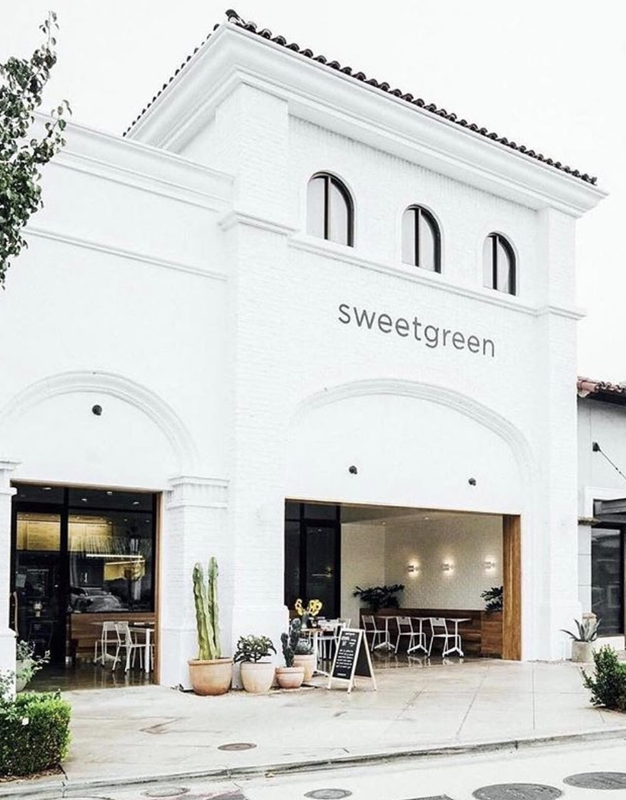 Caroline Barry shares her stories of working as the Director of Strategy at Sweetgreen. Caroline’s dream has always been to open a restaurant of her own. 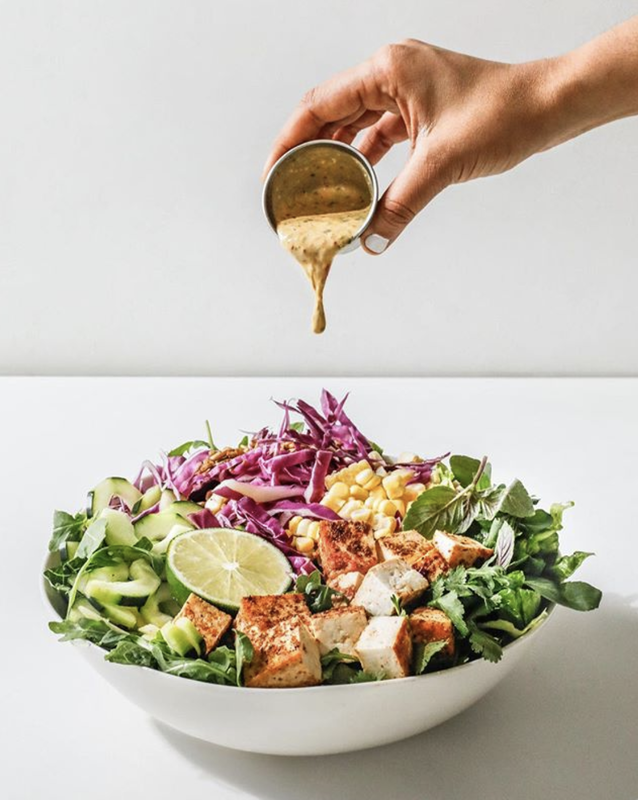 Today, she doesn’t hustle in her own restaurant, but is the current Director of Strategy at Sweetgreen, a salad company valued at $1 billion USD that was started by three Georgetown students. 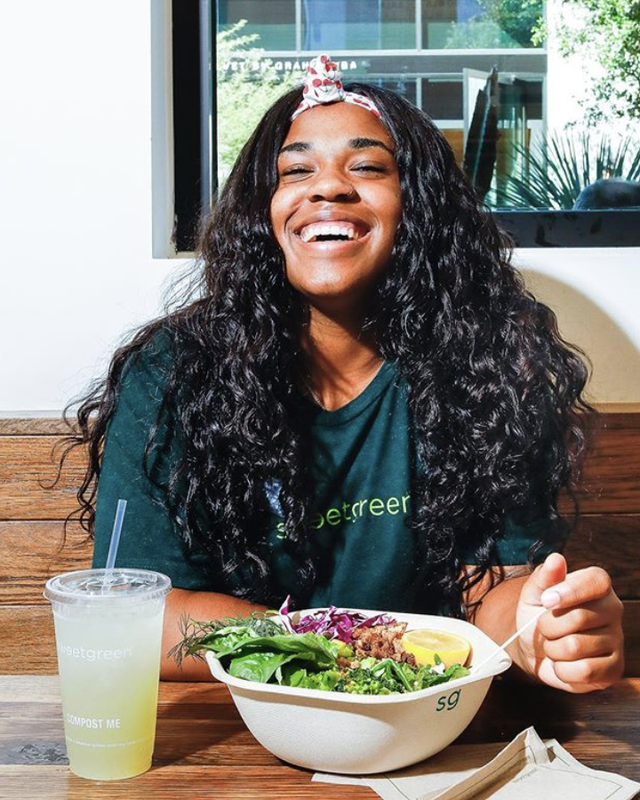 I was lucky enough to speak with Caroline and ask her about her path to Sweetgreen, the connection between her undergraduate career and her current job, as well as chat about the inspiring food ethos of Sweetgreen. 1. 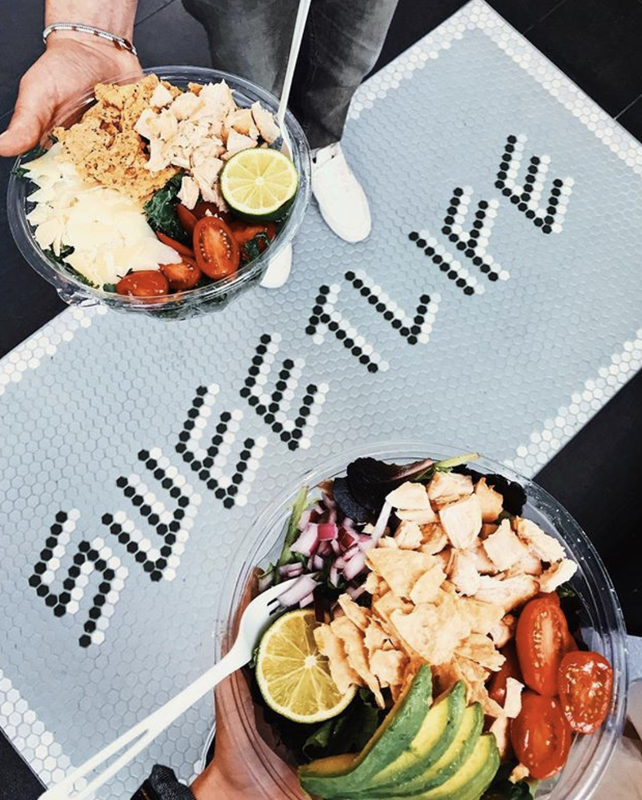 What led you to your job at Sweetgreen? I’ve always dreamed of owning my restaurant since I was a kid, and I’ve been passionate about food for as long as I can remember. I am not sure if I want to own a restaurant now, knowing the massive time commitment and the long hours of actually operating a restaurant. Though I don’t own my own restaurant, working at Sweetgreen is definitely an incredible alternative, if not better. I’m working alongside incredibly talented and smart people while getting the same experience of working with food and creating something new every day. I wasn’t looking for a job at that time, but a friend of mine happened to know the founder of Sweetgreen, and the opportunity felt right. They actually created a new position for me which did not exist before. 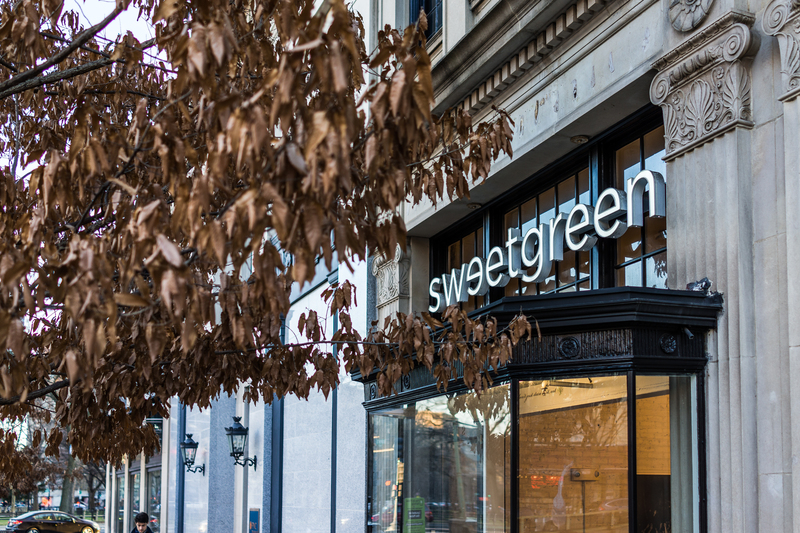 I’ve been here at Sweetgreen for five years and it’s been really exciting to help the company grow and witness it quadruple in size. 2. What does it feel like to work at a company that began as a small start-up? I would say that Sweetgreen has graduated from the startup phase. We’ve done a lot of growing, expanding, and learning since we first started. What we haven’t done, however, is hit a routine. We are still imbued with a very innovative culture where things are always changing and there’s plenty of ways to innovate. While our core business has formalized, we are innovating in new ways. This gives us the stability that big organizations have, but also the freedom of a start-up, which is to try new things and experiment. I would say you get the best of both worlds; it’s a hybrid of a fledgling startup and a behemoth organization. 3. Is it challenging to spread the motto of eating healthy considering the eating habits of Americans? I don’t think our healthy food is a challenge at all! On the flip side, it helps us drive a really high frequency with our customers. 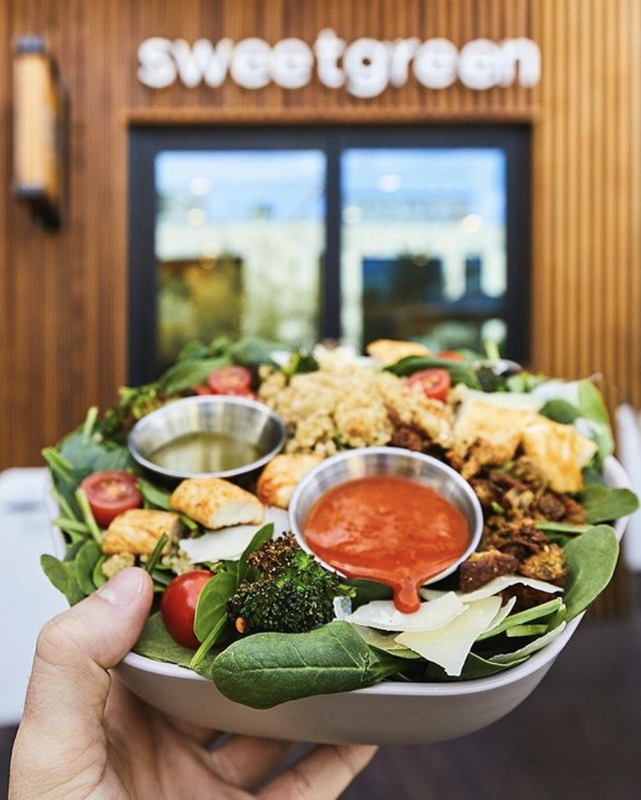 It’s hard to eat a heavy lunch five days a week, but if you are eating food that is making you feel good, there is no guilt in coming to us five times a week. I’d say it’s actually a strength of ours to be able to have a product that fosters habitual ordering behavior. 4. How has your undergraduate career prepare you for what you are doing now? I graduated from Northwestern in 2008 with a double major in Economics and Mathematical Methods in Social Sciences (MMSS). I’ve always enjoyed math, and decided to major in Economics because it was the closest thing to business, which is what I wanted to do. While studying math enhanced my analytical abilities, I found that taking classes in game theory and behavioral economics were especially valuable. Those subjects helped me understand human behavior, which is fundamental in what I do now. I now understand that people don’t always act rationally and that people’s behavior don’t fit into a perfect square, but it’s still possible to predict how people act. 5. Would you say that your undergraduate career helped you prepare for your roles in the business world? Or did you pick up some of those skills along the way while working? Definitely both. The skills I learned in college gave me the foundational analytical skills that I needed in my role working in strategy. A lot of my work was based on data analysis at Walgreens, so my undergraduate career definitely prepared me for that. But the experience of working in the real world is definitely priceless as well. I’m glad I started at a large organization because I was able to go through different leadership training and more professional development that prepared me into going a startup where there is less opportunity for full-on personal development, since there’s always something new for us to do. 6. For college students interested in startups, would you recommend they join or start one fresh out of college? Or would you recommend that they start at a big organization? If you are drawn to joining a start-up, definitely go for it. You just have to be prepared to guide yourself along the way because you won’t get as many training opportunities as you otherwise will at a large organization. In terms of starting your own company fresh out of college, it’s very compelling and definitely a great thing as well. Just remember to lean in with your network. I think it’s important to talk to other people in your field to see what lessons they have learned. In addition, definitely talk to your target customers to understand what is the core of the problem you are trying to solve. 7. How can someone break into the food industry? LinkedIn is a great resource. Reaching out to people and see what positions are out there is always a great way to land at an internship or a job. Do not be afraid to go out there and network even when there is no open position available, because you never know what’s going to happen. New jobs can be created; my job at Sweetgreen was literally created for me. It’s definitely possible to craft new jobs from scratch, especially if you really hit it off with the person who is hiring. 8. What are some challenges that Sweetgreen faces? It’s very complex working in the food industry. It’s hard to balance your product and the labor. For Sweetgreen, we prioritize both our customers and our employers. We aim to never cut corners on the quality of our product and also make sure that our employees who are working day in and day out at our restaurants get the best possible experience. Instead of cutting labor, we are always thinking about ways to attract the best talent. Being a mission-driven company, we are able to lean into that and attract people who are passionate about food and changing the food industry the way we are. That’s been a common theme for our team members: They lean in to our food ethos. 9. What skills would you say are most important for undergraduates to develop? One most important thing that I look for when I am hiring for a candidate is how they problem solve. It’s not about depth or even having the right answer, it’s more about how they approach the problem. In reality, when you are working, you will have abundant resources and information from your boss and your colleagues. But I want to see what you information you intend to gather and how you problem solve so I can be confident to give you the resources and let you take on your responsiblilites. 10. Did you take any humanities classes in college and how did they benefit you? Yes, taking psychology and sociology classes really helped me understand human behavior, which has been really important for me in my career. I was able to understand how people behave and what drives people’s decisions. It’s important to have the ability to predict what’s going to happen next in one, two, to three years. 11. What do you think college students should during summertime? Would you recommend them taking on an internship? Yes, definitely. Internships are incredibly valuable. It’s hard to understand and assess resumes that look similar, but internship is what will allow you to set yourself apart from others. 12. Are there anything you want to touch on that I haven’t mentioned? I want to emphasize the importance of networking. Keep relationships intact because you never know when they will come back to benefit you. I wasn’t looking for a job at Sweetgreen, but a connection I made earlier has come back to benefit me. I definitely wish I was more conscious of forming connections during my time in college. 1. What are your top three values? Kindness — being kind to people. Even when you are disagreeing with others, you can be kind and have the best intentions without attacking others or being unnecessarily personal. 2. What’s one piece of advice you would give to your 18-year-old or college self? I wish I did a much better job of networking early on. I got really lucky with landing my job at Sweetgreen. In college, I wish I had thought more about the value of long-term networking. 3. What’s your favorite pastime hobby? I love being outside and exploring nature. I live here in Los Angeles, so I get the best of both worlds. I have the amenities of living in a big city, but I’m also a 10-minute walk from a beach and a 10-minute drive from the mountain. 4. What piece of inspirational advice that you live by? This resonated with me when I was making the decision to leave Walgreen and go to dc to work for Sweetgreen. I had a lot of success at Walgreens and was comfortable working there, but I needed the courage to make the jump and take a risk in leaving Walgreens and going to Sweetgreen. I’m definitely glad that I decided to take the leap. Thank you again Caroline for an incredibly inspiring and rewarding conversation! This is piece is written by Alexandra Huang, a student at Northwestern University. She can be contacted at [email protected] Read more of her articles at: www.alexandrayh.com.